Soaking your feet in hot water after a long day can be a soothing experience. If you add some Epsom salt to the mix, you can enhance the muscle relaxation experienced while reducing swelling that may be in the foot. Combine this with the bubbling action of one of the best foot spas and you’ll be able to create a nightly routine that will make your feet feel happy. Epsom salt isn’t the only thing you can add to your foot spa to help your feet feel better. Before adding one of these items, however, it is necessary to ensure that the foot spa equipment is designed to handle the item being added. 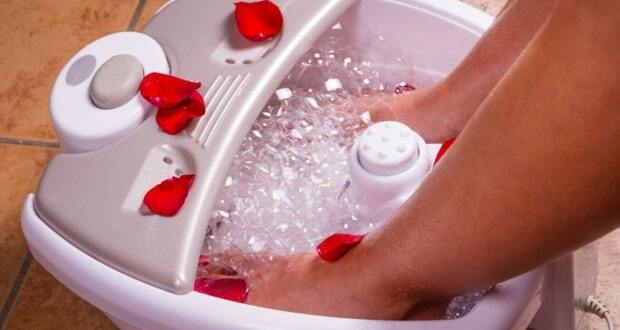 What Could You Add to Your Foot Spa? 1. Listerine and Vinegar. It has been suggested that a combination of an alcohol-based mouthwash, vinegar, Epsom salts, and water can help to restore hydration to cracked heels. After soaking for 15-25 minutes, use a pumice stone to remove the dead skin. This option has varying results. 2. Tea Tree Oil. This natural antiseptic does an excellent job of removing the threat of a bacterial infection or inflammation from the feet. Try using 3 drops of this essential oil and then an absorbing powder for best results. 3. Chamomile Tea. When this tea is added to a foot spa, you can receive some gentle anti-inflammatory properties during your treatment period. The aroma of the tea is naturally relaxing when inhaled as well. For extremely dry feet, you can add two tablespoons of olive oil into the foot spa for additional moisture benefits. 4. Rosemary. You can add fresh herbs, dry herbs, or essential oils to your foot spa, depending on what it will accept from this addition. Rosemary acts as a mild stimulant, which improves the circulation levels near the feet. This addition is particularly effective for people who suffer from regular joint pain and rheumatic conditions. 5. Lemon Juice. The citrus juice provides a fresh scent that can be stimulating. It also offers the potential of improving blood flow to the feet, helping to remove some of the pain that occurs when you’re on them all day. 6. Lavender Oil. Use this essential oil in your foot spa if your overall goal is to relax. 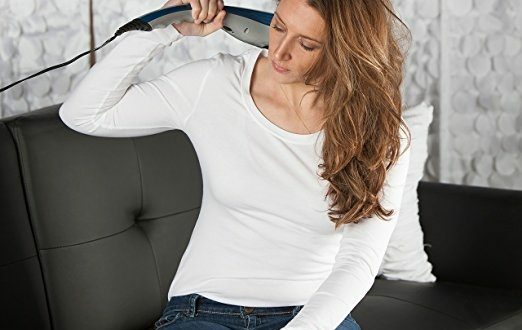 It provides a soothing experience that can reduce cortisol levels while the heat and massage action from the spa works on tired and sore toes. 7. Peppermint Oil. Some have tried using peppermint candies as a substitute, but the essential oil is what you’ll want to use. Peppermint has an anti-inflammatory effect and is an excellent choice when heel cracks or other scrapes, scratches, and injuries are present on the feet. It will clean out the injury, possibly promote healing, and offers the chance to have pain levels naturally reduced. Pinterest offers several foot soak recipes to try if you’re dealing with sore feet. Natural Living Ideas offers 7 foot soak recipes that you can use in your new foot spa as well. The best way to maximize your foot spa is to use it every day. Choose your additions wisely and you’ll find it can be a helpful tool that allows you to relax after a tough day.